PHUKET: The Cherng Talay Tambon Administration Organisation (OrBorTor) has introduced water rations for residents and local businesses in an effort to prevent water supplies for the area being exhausted entirely. “During the dry season, there is less water to replenish water supplies. This leads to having not enough water that people need to use,” Cherng Talay OrBorTor Chief MaAnn Samran said in a statement announcing the water restrictions. The announcement was signed by Mr MaAnn and dated yesterday (Jan 21), but posted by the Cherng Talay OrBorTor today (Jan 22). The water restrictions affect residents and businesses in Moo 2, 3 and 5 in Cherng Talay. In Moo 2, which includes Soi Bang Tao 8, Soi Nok Na, Soi Ao Bang Tao 4 and Soi Bang Tao 12, water is now available from 7am to 8pm only. Throughout all of Moo 3, water supply is available from 5:30am to 10:30am, and from 3:30pm to 9:30pm. In Moo 5, which includes Soi Bang Tao 3, Soi Bang Tao 4/1 and Soi Bang Tao 5, 7, 9 and along Srisoonthorn Rd from Soi Bang Tao 3 to Soi Bang Tao 9, water will be available from 5:30am to 9:30am and from 4:30pm to 9:30pm only. 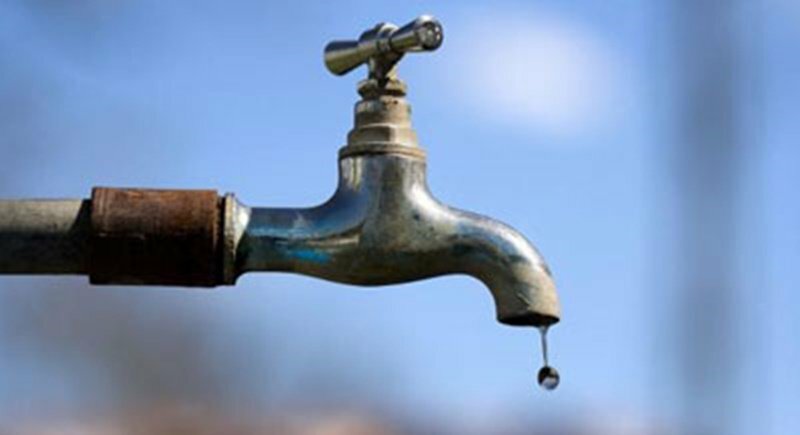 Mr MaAnn urged residents to use as little water as possible and to keep water reserves in containers for use when mains water supply is not available. “If you see a pipe water broken or damaged, please inform the Cherng Talay OrBorTor at 076-271096-7,” Mr MaAnn added. “If there are any changes (to the scheduled water rationing), Cherng Talay OrBorTor will make further announcements,” he added. This guy village head MaAnn works for himself. He is a entrepreneur. ( footbal club owner as well, right? )Not a real thai government official. Must have a lot of money to share with his comrades. Mhh, his area is the area with the highest crime scene on Phuket. Drugs, guns, etc. Time for a clean up and open the water taps again. Right? If you don't already have one, buy a tank, store water when the supply is on, no loss of supply when it is off, this guy Ma an does not have the power to even comply with a court order to close illegal restaurants, I doubt he has the power to impose water rationing, but maybe there is money in it. Phuket has a Water Board, right? Is it normal that a low  ranking Village Head can make these decisions? Is this not a matter to be handled at Provincial Hall level together with Water Board? The last months there was a lot of rainfall. We are now still in January. Many more dry months to come. To where and to who is all that water we had and disappeared sold to? There must be a water bookkeeping of reservoir levels UP after rain, and weekly comsumption levels DOWN, right? Don't tell me there is not such registration on Phuket 4.0, island so depend on rainfall. Developments and condo's in that area are loosing now value overnight! Buyers expect Phuket 4.0 water/energy supply. Many property construction firms/investors are going to loose a lot of money. And for what? Just because there is no water management on Phuket. The 3 Governors the island has have to step in now and start initiatives to start up water management + building restrictions/stop..
Wonder if all the new condos  erected by a certain  Singaporean company  (after filling in the salt water lagoon's ocean entrance) are using up all the water ? And stop any building/construction of hotels, guesthouses, apartments and house too? Obviously there to many already seen the lack of being able to provide water supply. Not much of water rationing with that advice to stock water in advance for during 'tap closed hours'. Hehehe. Who is fooling who? I saw this coming long ago. The dam is being pumped dry. We had a lot of rain up till lately. All the small lakes in the area are full of water. Where did they pump the millions of cubic meters of water? There are many big developments and condos being built that you approved Mr. MaAnn. What's going to happen when they are occupied and need water too?